I'm sure you all remember that we're offering a "Sweet Dreams" giveaway here on the Cozy Chicks during the month of August. 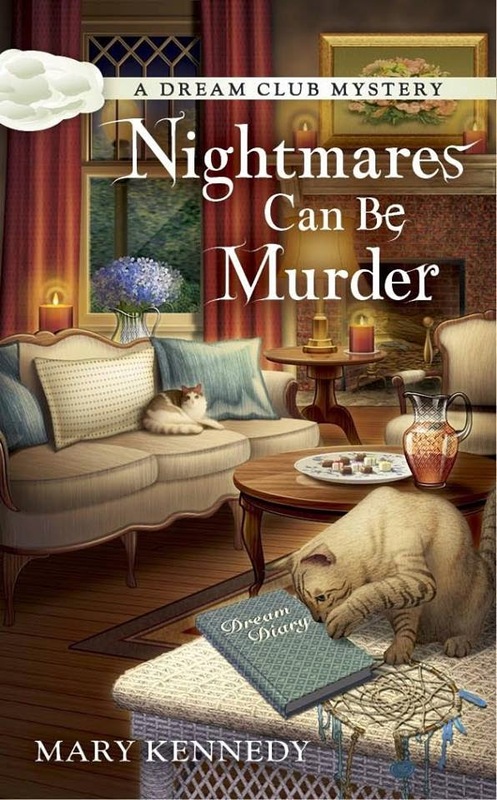 I'm celebrating the Sept 2 release of Nightmares Can Be Murder, the first of my Dream Club Mysteries. The launch of a new series is always something to celebrate! As you can see from the cover, the room is all set for the arrival of the Dream Club members. (they meet once a week in Savannah to share their dreams, eat some delicious pastries and solve a murder or two!) I'd like to join a club like that, wouldn't you? See the cat in the bottom right of the cover? He's playing with a Navajo dreamcatcher. 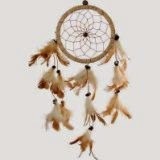 The dreamcatcher will trap the "bad" dreams and only let the "sweet" dreams through. Naturally, I want all your dreams to be wonderful ones, so I'm offering a Sweet Dreams kit every week for the next 4 weeks. It contains a Navajo dreamcatcher. AND...a signed copy of NIGHTMARES CAN BE MURDER. (not an ARC, the real thing!) Everything you need for a good night's sleep! ﻿ If you would like to enter the giveaway, please send an e-mail to cozychicks@gmail.com and put DREAMS in the subject line. Be sure to include your name and e-mail address. This will enter you not only in the drawing but you will be included on the mailing list for future Cozy Chicks news and giveaways. We will choose one winner every week. Good luck, everyone, and sweet dreams! Thanks for a chance to win. I can't wait to read new series. Hi DJ. Gram and Debbie, thanks so much for stopping by!!! Good luck to everyone and don't forget we're doing this for 3 more Saturdays!! Next Saturday, I'll include a bit about dreams and answer a few questions. This sounds like a really fun giveaway! This series will be so good, I can tell! All of Mary Kennedy's writing is wonderful. What a great giveaway!! I can't wait for Nightmares Can Be Murder! This is sure to be great reading! HI Maureen, thank you so much1! I miss that Borders Express, it was a great store, very friendly people and always eager to help. Thanks, Ann. be sure to leave a message on the cozychicks e-mail, you could be a winner! Hi Nancy thank you so much!! If anyone has a dream they'd like me to try to interpret, I'm game for it! What a fun package! I've been looking forward to this book since I first heard about it! Awesome giveaway. I don't have dreams that I know of. What a fun giveaway and what a great sounding book! Sounds like a great giveaway. Best wishes on the new book/series! Hi Lisa, hope you enjoy it! Thanks, Kiki! Be sure to shoot an e-mail to cozychicks@gmail.com and this will add you to the Cozy Chicks mailing list and also enter you into the contest. Just put DREAMS in the subject line, thank you so much! Just entered the contest. I love cozies, and I'm looking forward to this new book. What an interesting theme for a mystery series. Sounds like fun. Obviously, you put a lot of time and thought into that gift package. It's perfect for curling up with a good book. Email is on it's way. Thanks for the giveaway opportunity. I can't wait for this series since I have some really strange dreams myself. I'd love to get a copy of the book, Dream Interpretation. Hi Mary, is this part of the giveaway package or is this something that you can do separate? I have a had dream for years that just keeps coming and going. I can't wait to read this book! I have been looking forward to it! Thank you for the chance to win! Love new series. Thanks for the contest. What a lovely contest! I could sure use some pleasant dreams & the restful sleep that goes along with them. Hi Jen, thanks so much, it should be fun. If anyone wants an entertaining (totally unscientific) analysis of their dreams, fire away. Hi Marlene, thanks for stopping by!! Hi Dawn, there seems to be a lot of interest in dreams...glad to see this! I am looking forward to a new series! The giveaway looks wonderful.. Thanks so much, colordreamer!! I hope you enjoy it...dreams are fun to explore, no doubt about it. I love dream interpretations. Can't wait to read the new series. I always dream of being able to fly, what does that mean? Hi Beth,storms, tornados and hurricanes are all signs of an anxiety dream. But if you're seeing rainbows, that means that all is well and the stories are ending happily! Be sure to shoot an e-mail to cozychicks@gmail.com with DREAMS in the subject line to enter our fun giveaway. It will only take a second! That's a very common image it's usually found in people who are creative, always seeking to find out more about their world! Be sure to shoot an e-mail to cozychicks@gmail.com with DREAMS in the subject line to enter our fun giveaway. It will only take a second! Kay, I want you to have restful sleep, too. Be sure to shoot an e-mail to cozychicks@gmail.com with DREAMS in the subject line to enter our fun giveaway. It will only take a second! I really enjoy reading your blog. Thank you so much for the giveaway. Thanks so much, be sure to shoot an e-mail to cozychicks@gmail.com and put DREAMS in the subject line and add your name and e-mail addy. This will enter you in the drawing and also put you on the Cozy Chicks newsletter list...thank so much. It will only take a second, I promise! What a nice posting and the offer to one lucky person is great. I have a book about how to decipher dreams and it is a bit scary when you try to do that. 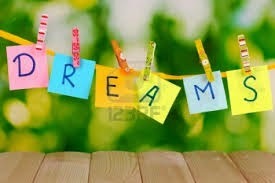 :) Some dreams I WANT to remember but many not so much. Looking forward to your next book for sure. thank you so much, keepmelaffin! I wish we had a Dream Club nearby, I would join one! It's very interesting that your dreams have remained quite similar over the years. I'll e-mail you later today. In the meantime, be sure to shoot a quick e mail to cozychicks@gmail.com, with DREAMS in the subject line, so you can be entered in the contest and signed up for the mailing list. thank you so much! Thank you so much, cec, I hope you like it. In the meantime, be sure to shoot a quick e mail to cozychicks@gmail.com, with DREAMS in the subject line, so you can be entered in the contest and signed up for the mailing list. thank you so much! Hi ceblain, thank you so much for the kind words. Dream analysis is a lot of fun, of course there are many different interpretations, but it's fun to take a shot at it. And sometimes a friend or family member will come up with a completely different interpretation. It's a fun hobby! I love finding new series. The waiting part is difficult, but anticipation is sweet. Thanks for sharing your talents with us and for the chance to win. I so look forward to reading this series! All signed up and ready to read! 8) Looks like a great one! Thank you for the lovely reply Mary. Looking forward to Nightmares Can Be Murder. Great contest. Off to post the magic e-mail. I read A Psychologist's Guide to Dreams yesterday and now am looking forward to the first book in the Dreamcatchers series! Just sent email. I've asked my library to order your book. Hopefully, I'll be first on the list. Also, I'm not nitpicking, but I had to laugh that all proceeds go to the Wayne County "Human" Society. 'Bout time we humans got something instead of all those silly animals! (wink) I don't usually remember my dreams, but when I do they really stick with me for a couple of days. I'm really looking forward to reading this series. Thanks for the contest. sometimes i have what i call Epic dreams, would love to see what that dream interpretation will say about them. 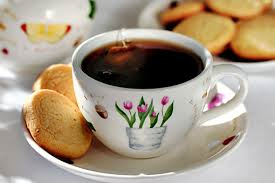 sweet giveaway love the tea and cookies. I like reading everyone's input. Dreams are rather exciting. Although I don't remember many, I do have several. Here are three. In the first dream, there are many of the theme where I dream that my mom is alive (she passed 8 years ago - which I have not really ever cried over, although we were exceptionally close) and I believe I am awake. Then, I realize that my dream can't be right because my mom is no longer alive and I tell her, "No, this is no right, you aren't alive," and she fades away...but I call to her to stop, stop disappearing and come back. But it is too late and she never returns. Another dream, #2, has me unable to wake. I'm deep in slumber and want to wake up and I am yelling to someone to wake me, but no one can hear me. This second dream is horrible. A third dream has me flying. People can see me fly. I fly and land on walls and roof tops. As I fly I often go to people and warn them of things to do or tell them their futures. Many thanks for this opportunity. Cozy mysteries are one of my favorites. I've taken a class on making Dream Catchers and loved every minute. What a terrific premise for a cozy series. I am very much looking forward to it!